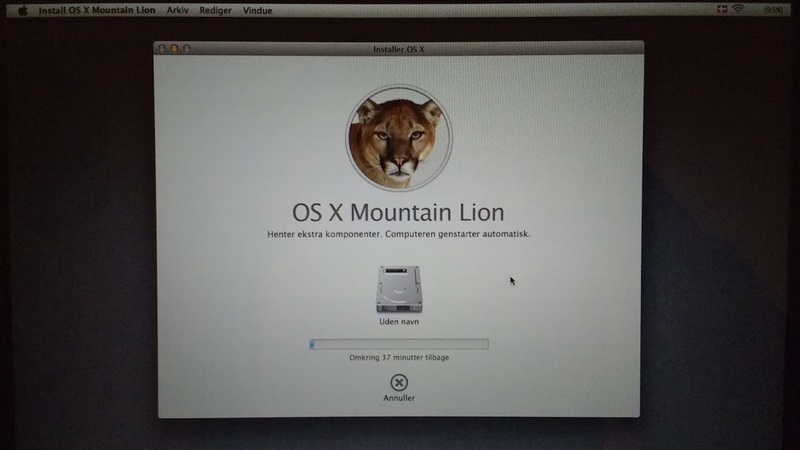 I am trying to fix a Macbook Pro from around 2012/2013, the hard drive failed so I replaced it with a Sandisk 120GB SSD and I am trying to reinstall OS X Mountain Lion using Internet recovery. Here's what I've done: installed SSD, connected power, Ethernet, booted into Internet Recovery using Command+R, formatted the disk using Disk Utility (Mac os Extended - Journaled), started re-install. 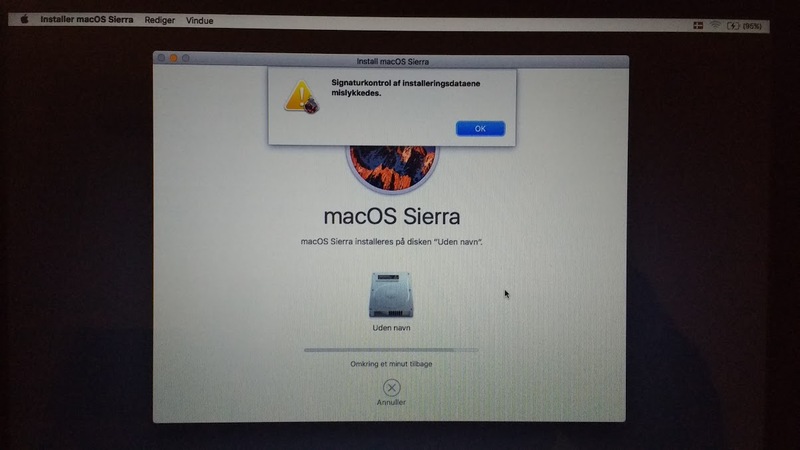 The error message is in Danish and translates to something like: "Can’t download the additional components needed to install Mac OS X". Does anybody know how to get fix this installation issue? Which translates to something along the lines of "The installer payload failed signature check". Turns out that something was wrong with the SATA/IR cable connecting the drive to the logic board. Installation succeeded when installing onto the harddrive connected via USB. I then purchased a caddy and replaced the optical drive with the SSD inside the caddy. It now runs MacOS Sierra just fine. Connect hard drive via USB/SATA, cost ~12$ and easy but cumbersome to have the drive dangling around, so mostly useful for debugging and determining that it is the internal SATA cable that is malfunctioning. You're in a slightly tricky situation if you can't get the internet recovery to work. Ask a friend/acquaintance at work/school who owns a mac to download the Mountain Lion installer from the app store and use it to create a bootable USB installer drive. You'll need to supply them with a USB drive (8Gb or larger), and possibly buy them a beverage of their choice to say thanks afterwards. It is possible to create a bootable OSX install usb drive from windows (google "make osx boot usb from windows" for instructions) if you have downloaded the installer file, but there's no straightforward way to get the installation file if you haven't already. If you don't have access to a nearby Apple store, then I think your best bet will be to prod your circle of friends/acquaintances until you find one that owns a Mac, and then solicit their help. Check to be sure that the status of the hard drive is "Verified". Here's how to do that. In Recovery Mode, enter Disk Utility. In the left panel, click on the top drive (not the partition). Under S.M.A.R.T status, check to make sure it says "Verified". If not, either the hard drive is bad somehow or it's corrupted and needs to be formatted/erased. Not the answer you're looking for? 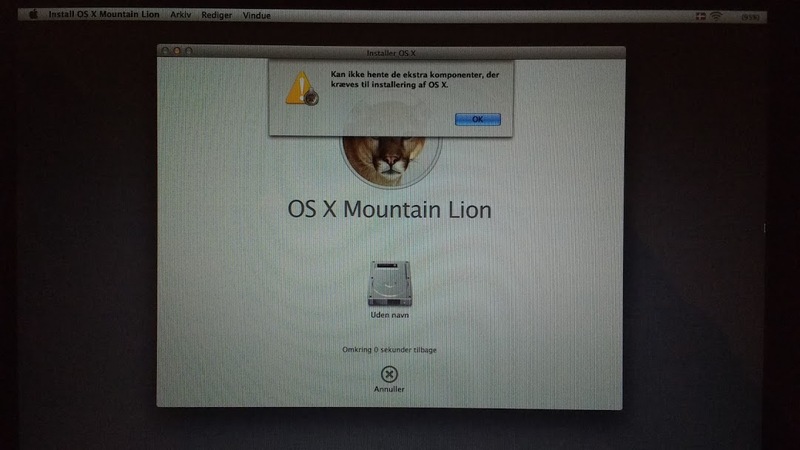 Browse other questions tagged macos mountain-lion install sierra internet-recovery .